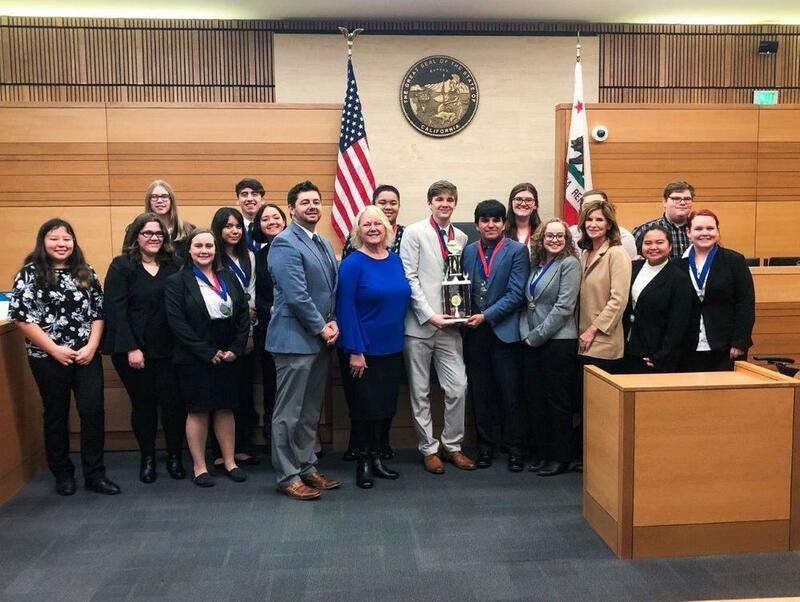 OROVILLE — Oroville Union High School District's Las Plumas High School won the 2019 Butte County Mock Trial held at the Butte County Superior Court in Chico yesterday, February 5. The team scored 920 points to earn the County title this year. The competition involved 2 participating high schools: Pleasant Valley High School and Las Plumas High School. The Las Plumas High School Mock Trial team will now advance to represent Butte County at the California State Mock Trial Competition on March 22-24 in Sacramento. Honorable Tamara L. Mosbarger and Deputy District Attorney Kurt Worley presided over the trial competition. Scoring was done by attorneys Anu Chopra, Jessica Miller, David Ledford, J.J. Stark-Modlin, Sharon Stone Stover and Scottlyn Hubbard. Mock Trial actively engages students from local high schools where they work in teams, exchange ideas, set goals and examine issues while interacting with positive role models from their communities. By studying the case and preparing strategies and arguments for trial, students also develop presentation skills, analytic ability and team cooperation. For more information please contact Mary Ellen Garrahy, Academic Decathlon Coordinator, mgarrahy@bcoe.org.